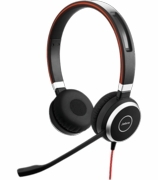 Professional mid-range wired office headset. 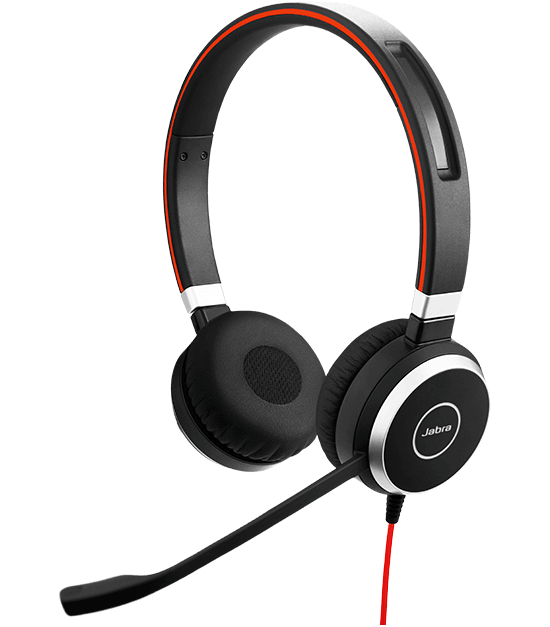 Stay focused in noisy environments with passive noise cancellation. Easily transfer your Skype for Business and Lync pc calls to your smartphone using “Jabra Intelligent call transfer (JICT)”. Ideal for when you need to head out the office door or move away from your desk. The 3.5 mm jack lets you connect to your personal device - such as a smartphone or tablet - to work or listen to music wherever you are. Busy light automatically turns on during a call to let others know the person is busy. Users can also activate it manually to signal that they don’t want to be disturbed.